SQE has an extensive library, and most of the materials cited here are available for borrowing free of charge. Contact Malkin Dare at mdare@sympatico or call 519-884-3166. The Schools We Need: Why We Don’t Have Them. E. D. Hirsch, Jr. The author takes on what he terms “The Thoughtworld,” the system of child-centred ideas which dominate Canadian and American elementary education. His “Critical Guide to Educational Terms and Phrases” alone is worth the cost of the book. 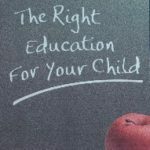 The Reformation of Canada’s Schools: Breaking the Barriers to Parental Choice. Mark Holmes. The author argues that only school choice can successfully address Canada’s, particularly Ontario’s, educational mediocrity. The details of practical choice are described and the necessary policies listed. From Hope to Harris: The Reshaping of Ontario’s Schools. R.D. Gidney. The author traces the history of Ontario’s public schools from the Hope commission (1950) to the present, conclusively demonstrating that there’s nothing new under the sun. Market Education: The Unknown History. Andrew Coulson. Drawing on historical evidence, the author makes the case that competitive free-market systems of education have constantly done a better job of serving the public’s needs than state-run school systems have. Early Reading Instruction: What Science Really Tells Us About How to Teach Reading. Diane McGuinness. This book provides an extremely comprehensive analysis of the research on teaching beginning reading and spelling. Dr. McGuinness explains that certain practices (learning sound-letter correspondences; practice blending and segmenting sounds in words; and copying/writing words, phrases and sentences) strongly predict reading success. Most so-called literacy activities have no effect and some, like sight-word memorization, have a strongly-negative effect. The Myth of Ability: Nurturing Mathematical Talent in Every Child. John Mighton. Anyone can learn math and anyone can teach it. Dr. Mighton has used this premise to develop a revolutionary teaching method that isolates and describes concepts so clearly anyone can understand them. Instead of fearing failure, kids learn from their own successes, and gain the confidence and skills they need to love learning. Parenting a Struggling Reader: A Guide to Diagnosing and Finding Help for Your Child’s reading Difficulties.Susan L. Hall & Louisa C. Moats. Stressing the importance of catching problems early, this book is an excellent guide to diagnosing and finding help for children’s reading difficulties. Why Our Children Can’t Read & What We Can Do about It: A Scientific Revolution in Reading. Diane McGuinness. This book provides the scholarly underpinning for the excellent Phono-Graphix method of teaching children to read. Overcoming Dyslexia: A New and Complete Science-Based Program for Reading Problems at any Level. Sally Shaywitz. The author, co-director of the Yale Center for the Study of Learning and Attention, discusses some excellent systematic phonics programs, along with key principles of teaching beginning reading. Among these principles are the importance of oral reading with immediate feedback, the need to teach to the point of “overlearning”, the importance of early intervention, and the necessity for vocabulary development. 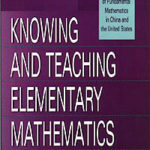 Knowing and Teaching Elementary Mathematics: Teachers’ Understanding of Fundamental Mathematics in China and the United States. Liping Ma. In a very thorough and technical manner, this book describes the nature and development of the “profound understanding of fundamental mathematics” that elementary teachers need in order to be accomplished mathematics teachers. The Teacher Unions: How the NEA and AFT Sabotage Reform and Hold Students, Parents, Teachers and Taxpayers Hostage to Bureaucracy. Myron Lieberman. The book shows how the teacher unions are bad for everyone concerned (except for their own leaders). The author recommends that teachers be represented by professional organizations instead. Break These Chains: The Battle for School Choice. Daniel McGroarty. Empowering parents through school choice is the future of quality education. McGroarty’s street-level account of America’s first-ever voucher program captures the story perfectly – both the policy and the passion. No Excuses: Lessons from 21 High-Performing High-Poverty Schools.Samuel Casey Carter. This book profiles 21 high-poverty schools that prove children of all races and income levels can take tough courses and succeed.